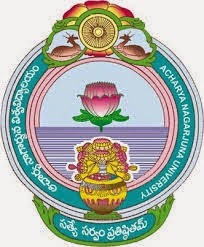 Acharya Nagarjuna University ANU UG 1st Year 1st Sem CBCS exams are held in the month of October/November-2015. First tine the university conducted the examinations in the jumbling manner and this will continue for anu degree exams. Lot of students are written the exams with new pattern and they are waiting for the results. Here is the latest information about these results. The papers evaluation is completed and the final process is going on . so, stay with and follow us on Facebook all latest anu updates. When the results are available and you can check your results from the below.